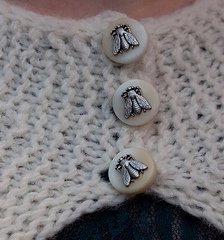 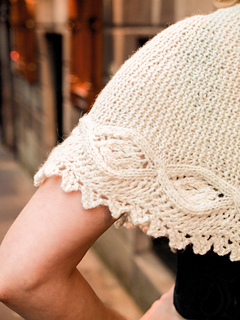 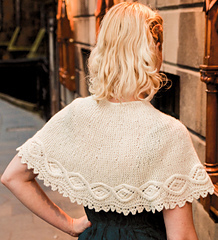 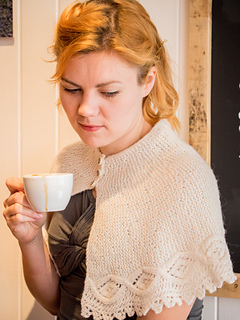 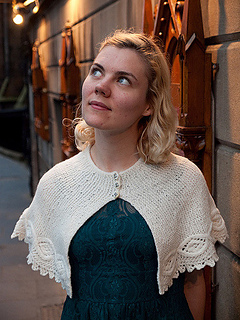 Ever since I first encountered Emily Martin’s work I’ve dreamed of knitting an adorable, Emily inspired, capelet. 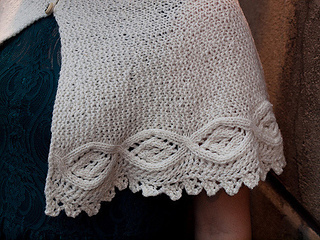 Worked from side to side and shaped with simple short row wedges the capelet features a neat integrated I cord edging around the neck and a deep lace and cable pattern around the gently flared bottom edge. 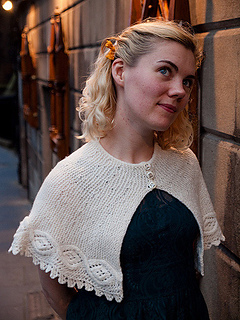 The yarn used is perfect in garter stitch, so light and lofty that you’ll forget you’re wearing it, but whether at the ball or the supermarket it will keep your shoulders warm and add a little fairytale romance to your outfit.